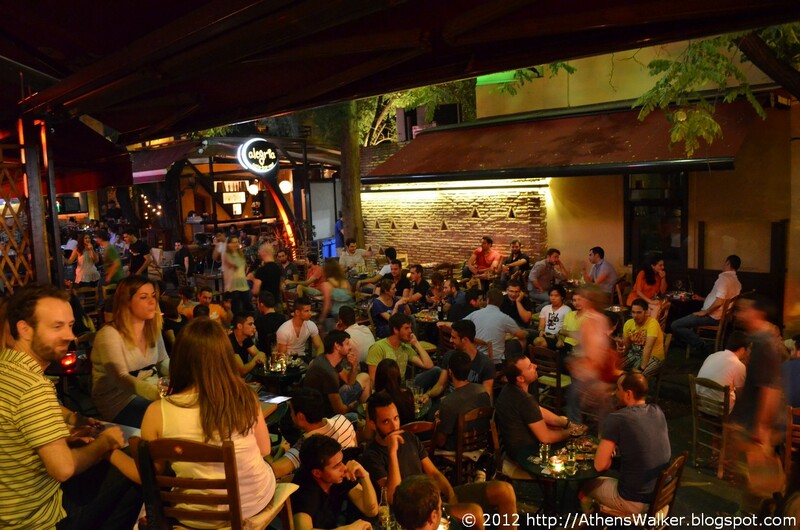 Athens Walker: Athens nightlife: Chilling out at the bars at Panormou St.
Athens nightlife: Chilling out at the bars at Panormou St. 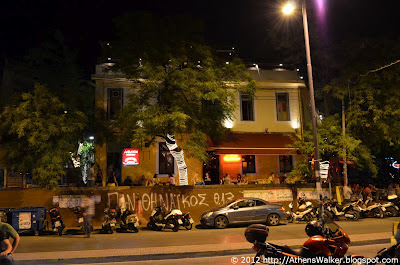 If you want to take a full taste of Athens or any other large city for that matter, you should definitely sample some of the night-life offered to you. One of the most popular areas to hangout for students and overall late teens and twenties (mostly but not only) is the so-called "island of Panormou". 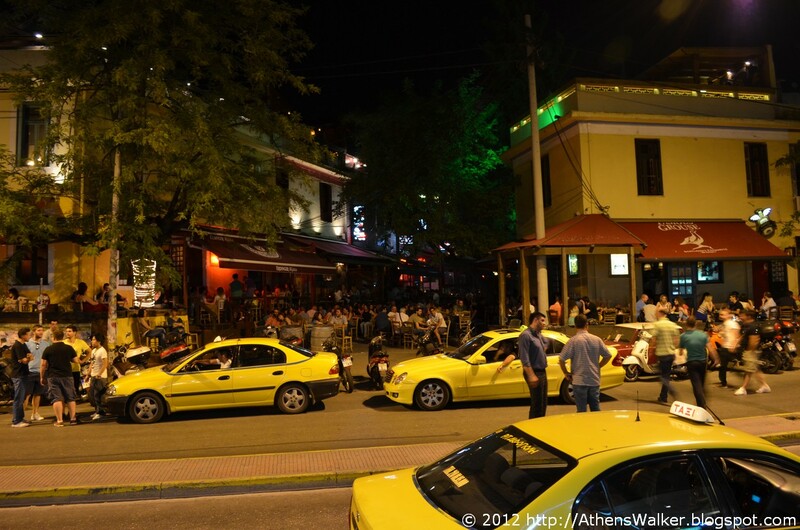 A small cluster of night-life spots and fast food joints located between Panormou Metro Station and the intersection of Panormou St. and Kifissias Ave.
Potopoleio and Marabou bars, at 113 Panormou St. 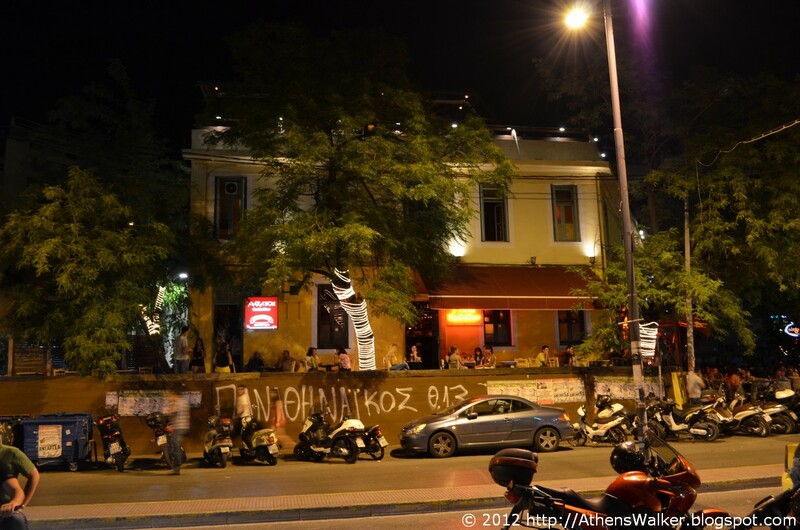 The area got its current character starting 10-15 years ago with a bar called Potopoleio (“Drink-Seller”) whose success has attracted others nearby, making the area a night-life hub for all of Athens. Potopoleio and Santa Botella bars at 113 and 115 Panormou St.
A fast-food joint (one of many) at Panormou St. 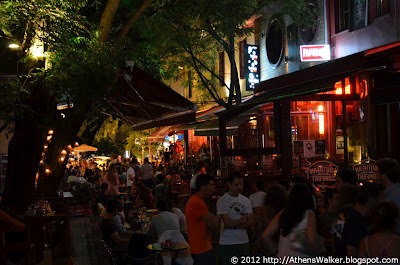 Tables and chairs at the pedestrianized Alexandrou Pavli St. The noise from passing traffic gets mixed with the music coming out of the bars and there's a constant motion of people coming in and out, making this a great spot for people-watching. 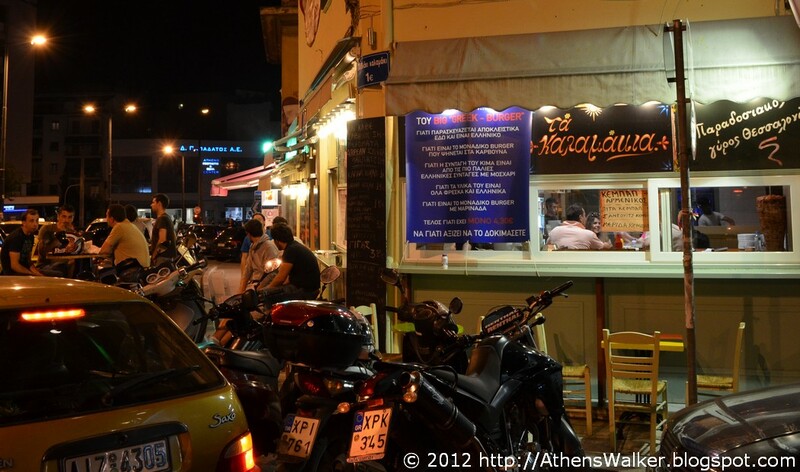 When the weather is fine, tables and chairs from bars and restaurants are laid out in the middle of the street, bringing memories of island vacations to those who have chosen (or not) to stay in town for the summer months. But the real beauty of the place lies a few meters above. A whole ecosystem of roof-terraces, each one laid at the top of each building (mostly two-storey ones), with nicely decorated summer bars. Each one fun, yet intimate, with small corners and hidden views to nearby buildings or the streets below. The types of music you can mostly hear are rock, pop, latin, jazz, funk, R’n’B, etc. I hope you enjoy it!